Location: In the heart of Philadelphia, at 1901 Vine Street is the main branch of Philadelphia’s Free Libraries. Right off of the Vine Street Expressway, the library is easily accessible. The library is a privately owned collection that is open all year round, except for a few holidays. The library can be reached at 215-686-5322 or online at http://www.freelibrary.org/. Frame of Reference: Poe moved to Philadelphia in 1838 and lived there until about 1844. Many consider this time to be the most significant in Poe’s writing career. Richard A Gimbel, the man who assembled this collection was an avid collector. The collection contains materials from 1809 to 1995. The collection is housed in the Rare Book department of the FLP as it has many original manuscripts, personal letters sent back and forth with editors, family members and even a copy of a family tree drawn out by Poe himself. The collection is one of the most expansive of its kind, and Gimbel’s Foundation continues to add to the contents even after his death in 1970. 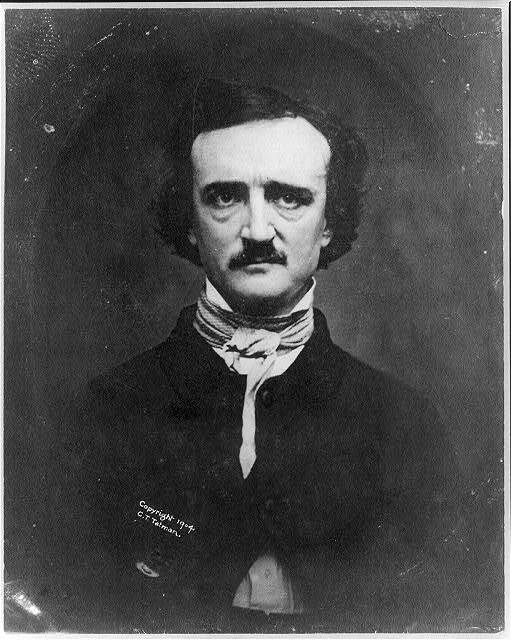 Significance: Poe is a well-recognized writer, often credited with writing the first crime novel. Edgar Allan Poe wrote some his most famous works while in Philadelphia. After moving here with Virginia, she was diagnosed with consumption, or tuberculosis, and Poe began to become darker in his personal life and in his stories. This site captures Poe’s transformation, as the letters show his depression and anxiety stemming from his ailing wife. One letter, written to a friend, mentions a “habit” (presumably alcoholism) that Poe assures him he does not indulge in, however if he had at one point been involved with the “habit” he has since broken it. This site is very important for Poe’s life to be remembered in Philadelphia but as an American author on the whole. About the Site: The Philadelphia Free Library is open to the public and contains materials ranging from music, to children’s stories and to some art exhibits. Poe’s collection is housed in the Rare Book department in the Central Library. The Rare Books are almost separate entities that require permission to see. Every piece of the Gimbel collection is filed in a specific box and with like materials. In order to view the pieces, you must contact the department, set up a meeting and inform them as to what exact materials you would like to see. To inspect and take notes on the material, you are taken into a room by yourself where only pencils and a computer may be taken in order to preserve the contents. When entering the department you will see a stuffed raven on a very tall cabinet. The Raven is said to be the inspiration for Poe’s short story “The Raven.” It is a common misconception that this Raven actually belonged to Poe. However, it belonged to Charles Dickens and Poe had been merely a fan of it. Born: January 19, 1809 in Boston, Massachusetts. Interesting Bio Fact: Poe married Virginia Clemm, who was actually his cousin. They got married when she was 13 years old and he was 26; however the birth certificate contended that she was 21 at the time they married. Elsewhere in the Area: Poe’s Philadelphia home, now a national park, is located at 532 N 7th Street in Philadelphia.